Have you found yourself in the dilemma of whether to sell your house on the open market or sell it privately? Well, the truth is that whichever way you choose to go, you need to be adequately informed on how to maneuver through the market. Generally, if you opt to sell your flat, house or apartment on the open market, there are plenty of reasons to consider using an estate agent. Although you will be required to pay the estate agent fee, a good agent will be worth their weight. So why are estate agents best suited to sell your house? They have good knowledge of the local market – When you entrust an estate agent with selling your house, they will leverage their knowledge of the area as well as the properties for sale within and the potential demand to not only calculate the worth of your property but also sale realistically. In addition, they are able to substantiate why your home will sell as well as the kind of buyers that might be attracted to your property and how to promote and present the property to your target market. They have a database of potential buyers – An estate agent will often have a substantial database of number of prospective buyers that have listed their criteria where their search for a buyer will begin. The advantage of this is that these buyers are usually ready to start viewing and purchase immediately since they are actively searching. Another alternative is a cash buying company who should have good ties with an estate agent. They will bring in their marketing power and expertise – It is highly unlikely that there will be a better person to market your property than an estate agent. Today, estate agents are investing heavily in maximizing the potential reach of their audience hence you can be guaranteed to find the right buyer at the best possible sale price. 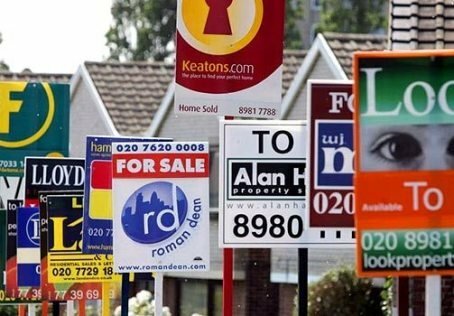 In most cases, your property will be advertised through the internet, for sale boards at your property, the estate agent’s local branch, mobile phone alerts as well as local and national magazines and newspapers. That is, estate agents will ensure your property is seen by the right audience. They will manage and conduct viewings – If you do not have time to conduct the viewings of your house, you need not to worry as the estate agent will liaise between you and the prospective buyers to arrange viewings. Most of the agents will be present at the viewing to sell your home to the parties that are interested and also to answer any questions that may arise. Once the viewing is done, they will contact you with an update of the viewing to give you feedback. They will advise and guide – Estate agents offer advice and guidance in the event that there are problems arising during the selling process. They will guide you on the best course of action and how to overcome obstacles that may block a potential quick sale. They will manage the sales process – Estate agents will often check the property chain as well as consult with solicitors to ensure everything is running smoothly towards the sale of property. In fact, you need to realize the when you engage an estate agent to oversee the process of selling your home you are employing a company to manage the process to the extent you are comfortable with effectively taking away strains and stresses of the task. They will negotiate with prospective buyer – Haggling with a prospective buyer over the price of your home can be stressful considering the emotional attachment you have towards it. Thus, an estate agent comes in handy to take charge of the negotiation process as they are well equipped to manage negotiations.